Fermented Roasted Garlic Sauce. OMG, I just tasted nirvana. Yep. Sure did. Unmistakable. I had some leftover turkey (who didn’t)? and wanted a little-special-something sauce. So I grabbed my mayo and I grabbed my FERMENTED ROASTED GARLIC and mixed them together in a bowl and dipped my turkey in and viola’! DELISH. This sauce would be GREAT with roast beef, pork, or lamb. Just delightful! If you like horseradish sauce, you’ll LOVE this fermented roasted garlic sauce! As you know, garlic is especially balancing during the season of autumn…and it is warming through the winter. Garlic is specifically healing to the lungs and respiratory systems…So be sure to include all types of garlic in your diet at least until springtime! The fermented garlic recipe came from Nourishing Traditions. Sally calls it “pickled garlic”. I have to say, it IS one of the more tedious ferments, not because you have to roast the garlic first. It’s all that SQUISHING the roasted garlic out of the head that is messy and time consuming. That’s the hardest part. But then, it’s as easy as any ferment…a little good salt, a little whey, a couple of herbs, and a few days at room temp and you’ve got fermented roasted garlic. Chefs Move to Schools…The Revolution Continues! Just wanted to share with you something I am thrilled to be a part of. The REAL FOOD REVOLUTION continues!! Ruth Gresser, friend and chef/owner of Pizzeria Paradiso and I are participating in the Chefs Move to Schools initiative started by First Lady Michelle Obama. We are adopting Takoma Park Middle School and will be there all day Monday, Nov 30, teaching 6th, 7th and 8th graders about REAL food. ..and yes, we’ll be MAKING THE KETCHUP!!! Fermented ketchup, of course. Teaching about the difference between REAL food and fake food, LIVE food and dead food…My favorite subjects! HOORAY! Look for an article in the Gazette-they’ll be interviewing and filming us that day. I am always happy when I get to do something to positively impact children and their relationship with food. I’ll keep you posted! For more information about ferments, see the Washington Post article September 18, It’s Alive! woo hoo! A week ago today…! … I was featured on the front page of the Washington Post Food Section! It has been a busy and crazy one—which is why I am just posting today! …answering emails, being the Guest Chef on the WPost Food Chat…riding the crest of the wave I have been dreaming of for a while now…I made it! HOORAY! It was a great article, and a great first splash for lacto-fermentation. The FRONT PAGE of the Washington Post Food Section! WOOO HOOO! We did it! Keep on eating, folks, and keep up the FERMENTUM!! Thanks to Kristen Hinman who spent two and a half hours interviewing me. YES, I DID teach an entire fermentation class! She even made her own fermented ketchup. (and LOVED IT, btw!!) There was a lot to cover, and I think the article did a great job showing what I call and teach– “jar fermentation” a la Nourishing Traditions by Sally Fallon, and what Mike Henry practices and teaches “crock fermentation”, a la Sandor Ellix Katz’s Wild Fermentation. Also, thanks to Kimberly Hartke, a REAL Food Media Blogger and publicist for the Weston A. Price Foundation, for her wonderful article: Lacto-ferments Make Front Page of Washington Post Food Section. 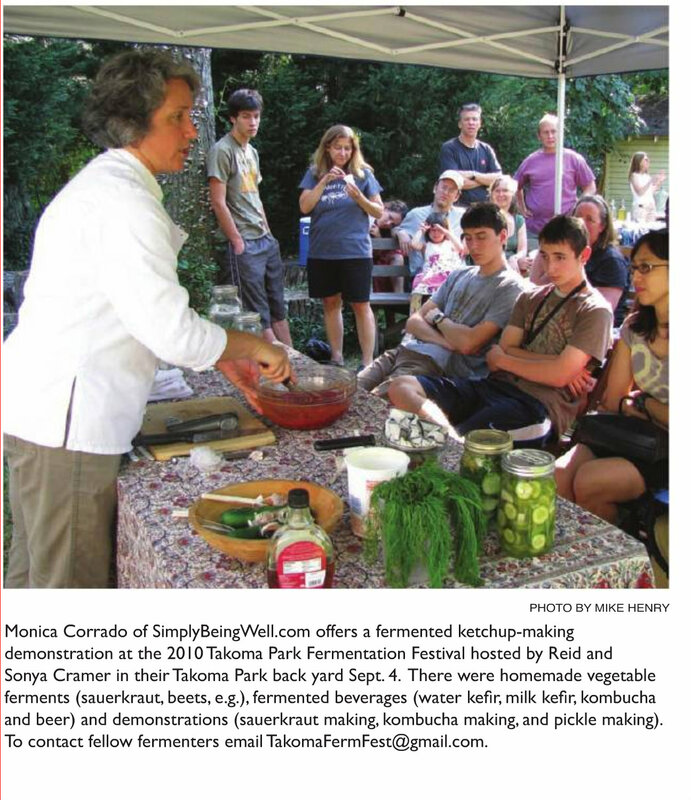 Thanks to Mike Henry and Nessa Richman and Reid and Sonya Kramer for hosting the Second Annual Takoma Park Fermentation Festival, which served as the catalyst for the Post article and the photo in the Takoma Voice. I was thrilled to be asked to co-sponsor the festival and to be a part of spreading the “fermentum” at the grass-roots level. We’ll look for all of you next year, at our 3rd annual event! Whenever I wonder if what I am doing really counts, somehow one of you sends a note to thank me for the class I taught or the technique I demonstrated, or the resources I mentioned or the connections you made because of knowing me and coming to a class. I thank you for being the inspiration for my work, and for continuing the work quart by quart…pastured egg by pastured egg…grass-fed steak by grass-fed steak… May it continue to ripple out to touch all your family and friends…heck, this REAL food has to move…just give them a taste of those pickles or ketchup or chutney! DEEEELISH!! A friend of mine wrote and I quote…“The (REAL food) Revolution has begun!” YEAH! If anyone would like to take a fermentation class soon, I just added Fun Ferments for Fall to the calendar, Thursday night September 30 at 7pm in Silver Spring, Maryland. These will be new ferments for Autumn…fermented turnips, beets, ginger, garlic, carrots…apple kraut… you may REGISTER HERE. Let’s build some “fermentum”! Join me at FermFest 2010! We knew it would happen! FERMENTATION is TAKING OFF!!! 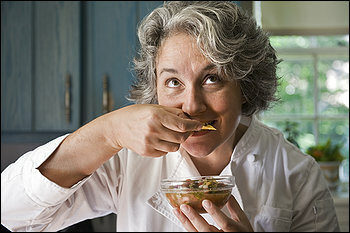 Folks are FINALLY getting that eating LIVE, FERMENTED foods are not only good for you, but DEEEEEELICIOUS!!! 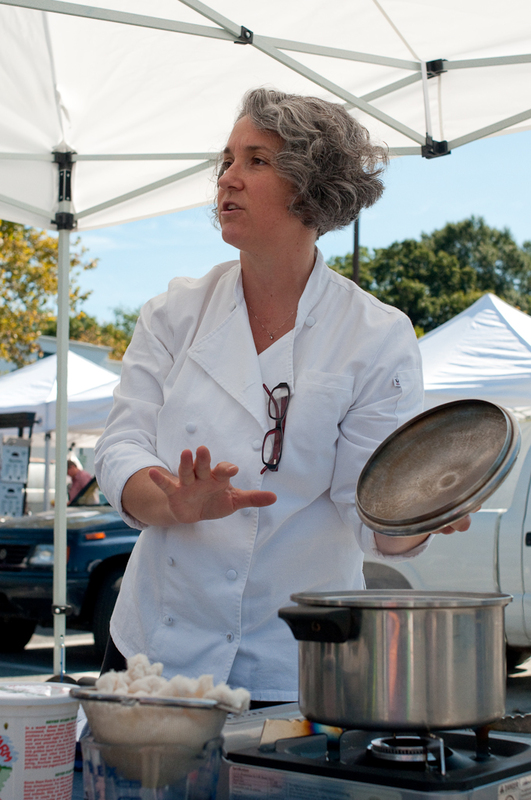 Join me at FERMFEST 2010…The Takoma Park Backyard Fermentation Festival! Marvel at the wonders of fermentation! 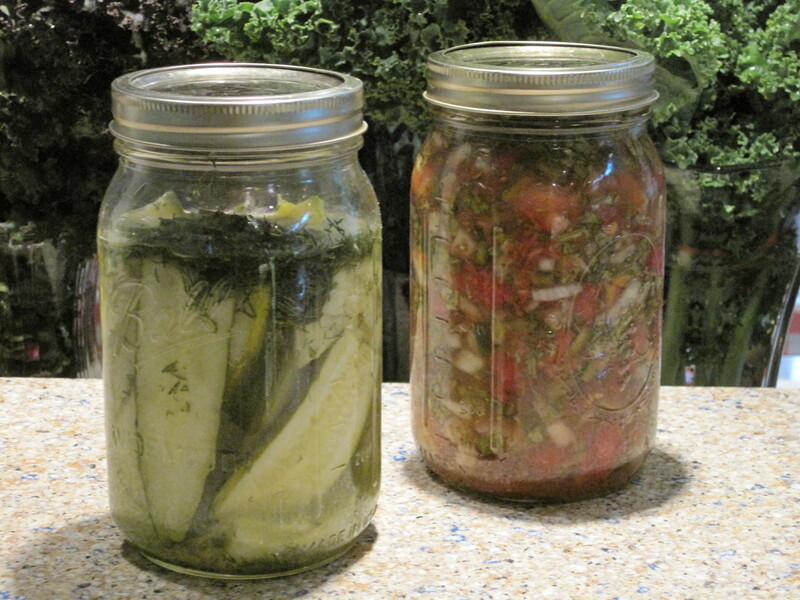 Share & taste homemade live ferments made by local enthusiasts! Exchange cultures and recipes with your neighbors! Homebrewers, children, cooks, and chemists welcome! and if it’s in Taky Pahk, you KNOW it’s going to be a GOOD TIME for all!! I will be demonstrating what I call “JAR FERMENTATION“…Mike Henry, a sponsor of the event, will be demonstrating “CROCK FERMENTATION“. Please pass along this invite to everyone and anyone you know who loves to ferment, wants to learn how to ferment, or is just wondering what all this fermentation is all about!!! I look forward to FERMENTING with you!! and oh, BTW, rumors have it that the Post will be there…so let’s show them some homegrown, hometown hospitality! And let’s show them how much we LOVE our FERMENTS! Why FERMENTED cucumbers top pickles any day! Here's a shot of me at the Greenbelt Market last year, 2009! Join me this Sunday, August 29, when I will be Chef at Market in Historic Greenbelt, Maryland at the Greenbelt Farmers Market. I will be demonstrating the age-old technique of FERMENTING cucumbers…or, shall we say, making REAL PICKLES at 11am. You may be confused. Pickling is one technique to preserve foods–in this case, cucumbers. Fermentation is another. What’s the difference? ONE BIG DIFFERENCE is that fermented cukes are full of LIVE enzymes, and pickled cukes are not. The live enzymes in fermented cukes (or anything fermented) are not only not killed through heat like they are in canning processes. That’s why I always say, “Don’t ‘CAN’, ‘CULTURE!!'”. Read on! Now’s the time to take all those CUKES and put them up with a process called lacto-fermentation. Lacto-fermentation NOT ONLY PRESERVES FOOD, it also INCREASES live enzymes and vitamin content, adds good gut bacteria (aka “probiotics”), aids with digestion, AND tastes GREAT! It is also fast and easy to do! I will be teaching what I call the “jar method” of fermentation. (and for all you folks with “I don’t eat dairy” flags going up, “lacto” does not refer to milk. But you’ll have to come to get the whole scoop!) Come and learn how to ferment all those vegetables bursting out of your garden and at farmers markets right now. And if you insist on canning, at least learn how to lacto-ferment so that you may RE-ENLIVEN what you canned later! LIVE FOOD COUNTS to your digestive system and your overall health! I’ll look forward to seeing you there! Be well! Fermented Cukes (aka “pickles”) and Salsa!